It’s not the easiest time of the season for NBA punters, but there is still value to be found amongst the tankers as the playoffs approach. He’s just dropped 57 and 61-point games back-to-back, but James Harden says he isn’t done yet. With everything he’s had to do to get the Rockets to the 3rd seed in the West, plenty have been asking questions about how sustainable this level of play can be. It will surely take its toll sooner or later. After all, we have seen Harden fall away late in the season before. He’s determined to not let that happen this time, though. Harden says he’s not about to rest. The playoffs are approaching and he’s still playing at an incredible level. Averaging 36.5 points per game and in the hunt alongside Giannis Antetokounmpo for the MVP, Harden has inspired enough confidence in the Rockets that their $12 price to win the NBA championship deserves some attention. The tank is real and it’s cashing in for punters. As a reliable option to fade all season, the Lakers have covered the spread in just one of their last 14 games. They’ve been favourites eight times in that span, covering once. LeBron James and Josh Hart are banged up. Meanwhile, Lonzo Ball and Brandon Ingram are out for the rest of the season. There’s no coming back from this for the purple and gold. Their sights are now set on the highest draft pick that can possibly get. So long as James is on the court though, the public will back the Lakers. The best thing for the clued-up punter to do is to keep fading. It’s not a debate. Luke Doncic is the NBA’s Rookie of the Year for the 2018-19 season. However, there would have been a debate had we only looked at the last two months. Trae Young has been on fire throughout February and March. The slander sent Atlanta’s way for trading away Doncic for Young has simmered down and been replaced by a ROY debate. Young’s poor start to the season and horror November make it tough to hand him the award, but he’s making a case late. He averaged 23.3 points, 4.3 rebounds and 9.3 assists shooting 43.7% from deep in February. He’s then backed those up in March with 23.3 points, 4.9 rebounds and 8.8 assists shooting 36.5% from three and 44.9% from the field. Maybe the Hawks were right to pull the trigger on the much-debated trade after all? We don’t need to go over the Lakers again. They’re a dumpster fire for fans and punters. The Bucks deserve a mention, though. It’s difficult to get a read on elite teams at this time of year. Some rest players and cruise into the playoffs while others look to build momentum. The Bucks look like a build momentum team and, therefore, one that can be trusted against the spread. 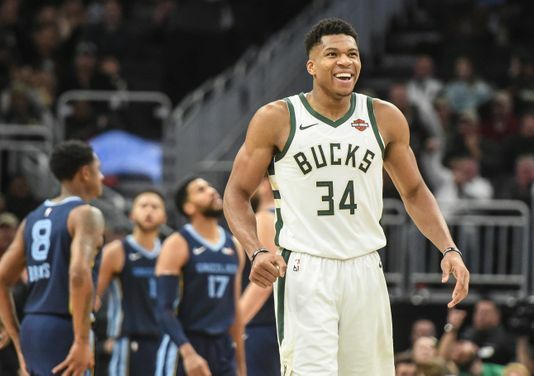 They’re the best in the business for punters, and with the 1st seed in the East and home-court advantage through to the NBA Finals still up for grabs, Milwaukee still has plenty to play for. Keep getting on Giannis and the Bucks.